Providing a quality camp experience for children and adults with vision loss and blindness for over 90 years. 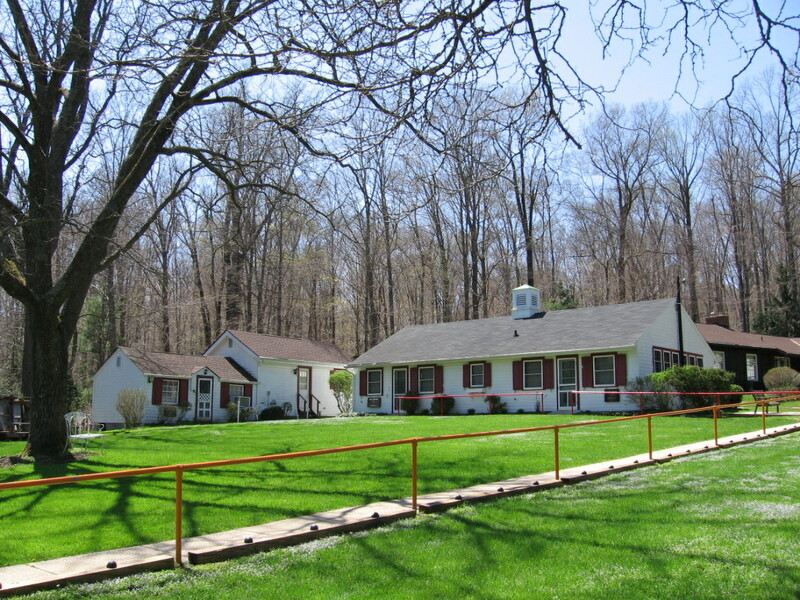 Welcome to Highbrook Lodge – where we see camp differently! Thousands of children, families, and adults have walked the trails of Highbrook Lodge over the past 90+ years. They’ve witnessed how the spirit of camp – embodied by our campers, staff, and friends – makes Highbrook Lodge one of the best places on earth. All of our campers, aged 0-99, are individuals with low vision or blindness. We offer them a safe, well supervised, and supportive environment. We also foster a close-knit community where everyone is accepted and where friendships flourish. This is evident in the fact that most of our campers return summer after summer, calling Highbrook Lodge their home away from home! We believe that summer camps provide a unique environment that promotes lasting positive effects for the lives of our campers, including the space to make and maintain friendships; relax and play; develop further independence; be outdoors; and be unplugged. At Highbrook, we also promote strengths-based therapeutic recreation, designed to assist our campers in their vision rehab process while providing a fun and safe outdoor environment. Highbrook Lodge is proud to be accredited by the American Camp Association. We also ensure that a licensed medical professional is always on-site. We provide well-balanced, nutritious meals and our property is well maintained and equipped with accessible facilities, guide wire, and comfortable sleeping arrangements. To learn more about all that Highbrook Lodge has to offer you and your family, please explore our subpage links to the left. To view the 2019 summer camp schedule in PDF, click here. Interested in learning about joining the team at Highbrook Lodge? Click here for more information. Click here to review the 2018 Camp Manager Report.